The family of DK Aruna has held on to the Gadwal seat for generations, barring a few aberrations. “DK Aruna seems to have taken out her knives. Mind your language. Brace yourself, I will expose your misdeeds and history,” caretaker CM K Chandrasekhar Rao once said. It’s not very often that a sitting legislator from the Opposition takes on the state’s Chief Minister, but for Gadwal Congress legislator and political heavyweight DK Aruna, clashing with TRS supremo and Chief Minister K Chandrasekhar Rao has been a routine affair. “Do you have any shame to speak utter lies like that? Everyone knows about you and how you have cheated the people of the state. You will expose my misdeeds? You have had four years. Was that not enough time to do so? If you have guts, go ahead, expose me. He said I have taken out knives. Let him know, that it is true,” DK Aruna responded. 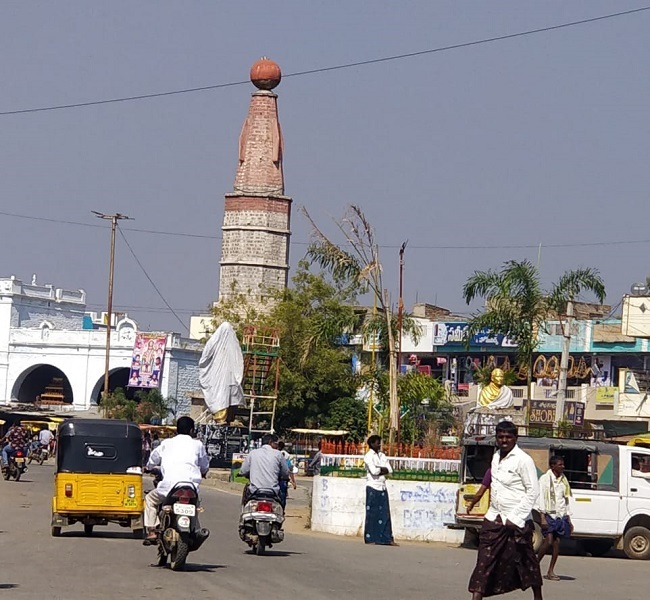 Dharmavaram and Kottam – two small villages in Telangana along the Andhra Pradesh border near Kurnool may seem insignificant, but they stand for the 'D K', in one of the most powerful families in south Telangana. This is the family of DK Aruna, whose family has held on to the Gadwal seat for generations, barring a few aberrations. The family’s clout in the region is not only limited to politics but also extends to every business in the constituency. “Toddy shops, bars, gas, petrol bunks, godowns, it’s all theirs. For every road that is laid, the gravel is theirs and so is the sand. The DK family controls everything in the town and take commissions on everything. Contractors are their people and so are the engineers. If they spend Rs 100 in election campaigning, they earn Rs 99 back," alleged an aide of Gadwal’s BJP candidate, Venkatadri Reddy. This is a sentiment that prevails across the town of Gadwal -- that there is nothing that the DK family doesn’t have a share in. 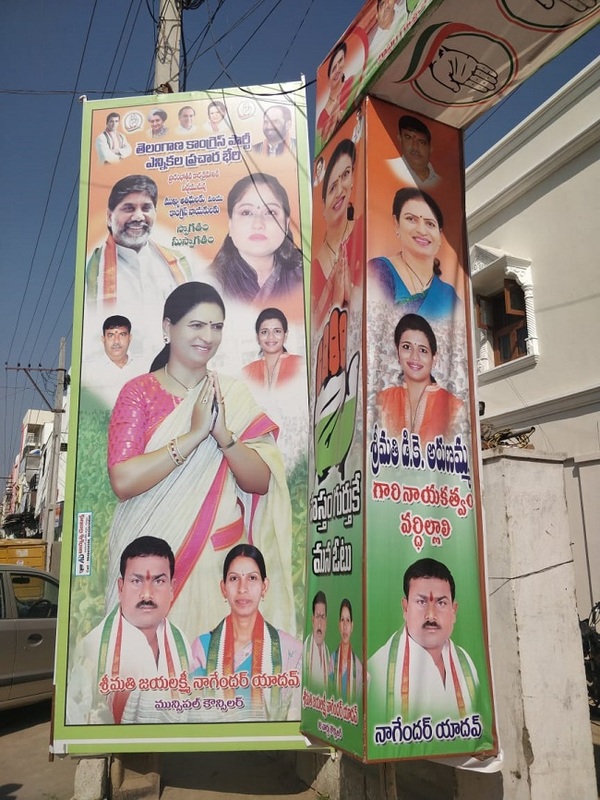 A part of Nagarkurnool Lok Sabha constituency, the voters here have traditionally voted for the Congress. The constituency has been a stronghold of the Congress since Independence, but perhaps one particular family has enjoyed the most influence. The DK family members have been elected to the Assembly at least nine times and it started with DK Satya Reddy's victory in 1957. Satya Reddy didn’t come from a political family and locals say that he began gaining popularity first when he decided to fight the Nizam. At the time of Independence in 1947, the last Nizam of Hyderabad, Mir Osman Ali Khan, did not immediately choose to accede to the Indian union. Instead, he deliberated between choosing India, Pakistan or the formation of a separate country. After several rounds of diplomacy failed, India launched Operation Polo, which eventually led to the incorporation of Hyderabad state into India. Satya Reddy was said to be a staunch supporter of integrating Hyderabad into India and had even campaigned against the Razakars (an informal Muslim militia fighting on the Nizam's behalf), which established his influence. In 1957, Satya had garnered enough support to contest as an independent candidate and trounce Pulla Reddy, then a two-time MLA from the Congress. The local sentiment is that Pulla Reddy is the reason Gadwal has water and a market yard, which also ensures that voters continue to be loyal to Congress. 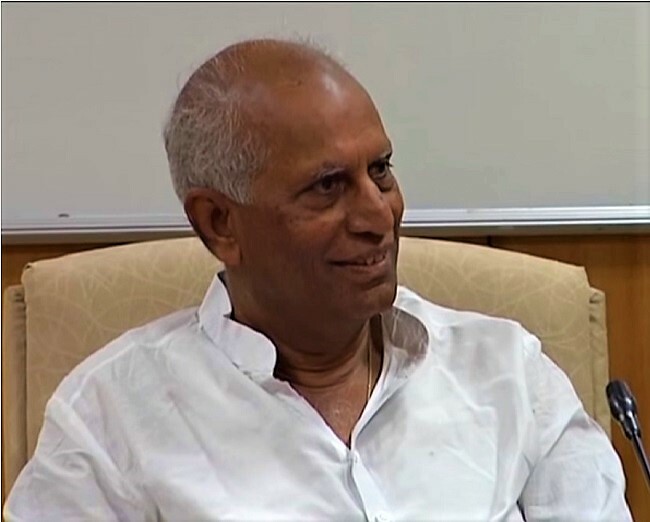 Satya tried his luck again in 1967 as a Congress candidate but did not succeed. In 1978, he won as a Janata Party candidate. While this was just the beginning, the family’s influence truly began to show when Satya’s eldest son, DK Samarasimha Reddy, decided to enter active politics and continue his legacy. Samarasimha won on a Congress ticket in 1983, but in 1985, Samarasimha Reddy lost by a margin of fewer than 100 votes to N Gopala Reddy from the Telugu Desam Party, at a time the TDP was riding on the NTR wave and sweeping polls. After the results, Samarasimha filed an election petition in the High Court, following which the votes were recounted and scrutinised. As per this, Samarasimha Reddy polled 56 votes more than N Gopala Reddy and was declared elected. Gopala went to the Supreme Court, which referred it to a larger bench. However, in the end, it was Samarasimha’s tenure. Samarasimha held the seat from 1985-89, but then, cracks began to show as Samarasimha’s younger brother, Bharath Simha Reddy, also wanted a piece of the family’s influence. In 1994, Samarasimha went up against his brother Bharath Simha Reddy, who contested as an independent. Bharath Simha won with a sweeping majority. 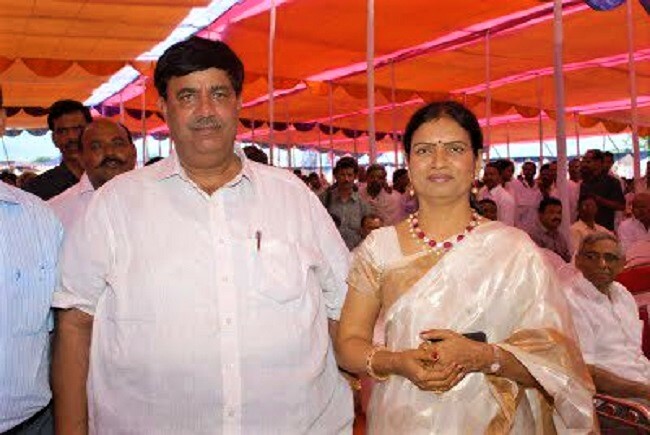 Following Bharath Simha’s tenure, Ghattu Bheemudu of the TDP in 2000 won one term against debutant DK Aruna, before the seat returned to the family’s fold in 2004 with her victory. But the victory was not that of the Congress, as she contested on a Samajwadi Party ticket. The 1999 Assembly polls defeat is Aruna’s only loss in her entire political career which spans two decades. Aruna, who got married to Bharath Simha when she was 16, is the daughter of former Congress MLA Chittem Narsi Reddy and came from a family of party loyalists herself. Chittem Narsi Reddy’s family held the Makthal seat. Narsi Reddy was gunned down allegedly by Maoists in 2005. The same attack also saw the death of Narsi's youngest son and Aruna's brother, Venkateshwar Reddy. Following this, Chittem Ram Mohan Reddy, Narsi Reddy's eldest son, filed his nomination and won the bye-polls that same year. Chittem Ram Mohan, who later won on a Congress ticket, in 2014 defected to the TRS. In 2004, Aruna, who contested on a Samajwadi Party ticket, managed to defeat Ghattu with a huge margin and reclaim the seat that her husband once held. Since then, Aruna has been the sitting MLA from Gadwal. "It’s a story that is more than five decades old and since then, members of the same family have been winning elections. Bheemudu was an aberration, Naidu was riding high on the BJP-Kargil wave," a senior journalist told TNM. Aruna is now up for her fourth term and for her third clash with Krishna Mohan. "They have been united, but in the last two elections, they split because of a power struggle. Each politician wants their own children to progress and can't digest if even their brother or sister's children began gaining prominence," a classmate of Bharatha Simha Reddy, who did not wish to be identified, told TNM. Gadwal, historically called ‘Vidvadgadwala’, was ruled by strongman Peda Soma Bhupaludu (Somanadri), who constructed the Gadwal Fort during the 17th century. Three centuries later, the fort still remains intact close to the heart of the town. Close to the fort lies a massive bungalow, built more than half a century ago. This is where many members of the DK family grew up, including Bandla Krishna Mohan Reddy, and it continues to be the power centre of the town. In 2014, Samarasimha Reddy was all set to be the TDP nominee but his seat went to the BJP as part of the alliance, thereby making it a fight between Bandla Mohan Reddy (who had defected to the TRS by then) and Aruna. While Samarasimha Reddy and his brother are not on good terms, Samarasimha rejoined the Congress in September this year, a day after the Assembly was dissolved in Telangana. Speaking about the internal conflict, Aruna had earlier said, "Maybe he didn't like that I entered politics since he was a senior politician, but we don't have any personal disputes." In fact, Aruna herself had lobbied hard within the party for a ticket from Mahabubnagar constituency for her daughter, Snigdha Reddy, but to no avail. "Members of the family continue to enjoy power because there is a lack of alternative candidates. Most of them continue to enjoy goodwill that Satya Reddy had garnered during his time. They may help people on an individual level, which ensures that they get votes, but they don't really care about social progress," Bharath Simha’s classmate added.